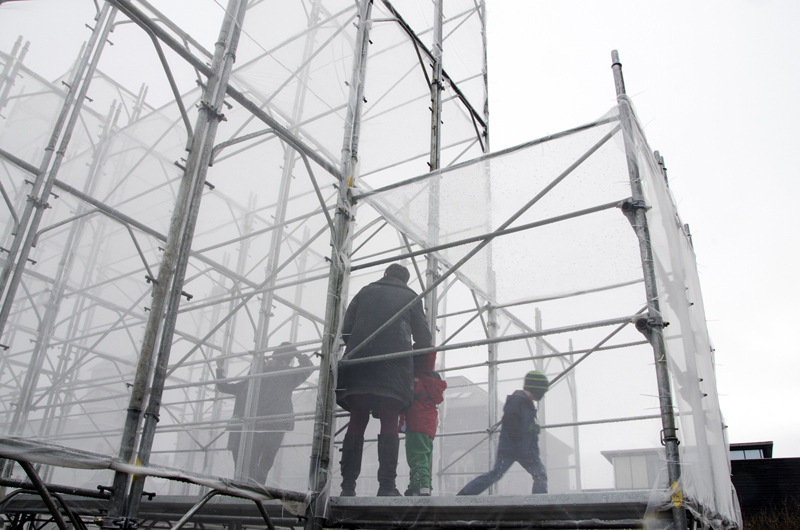 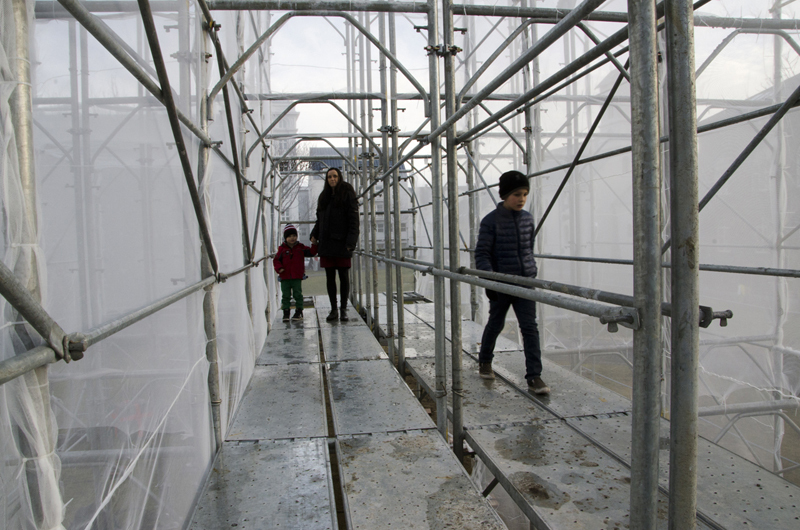 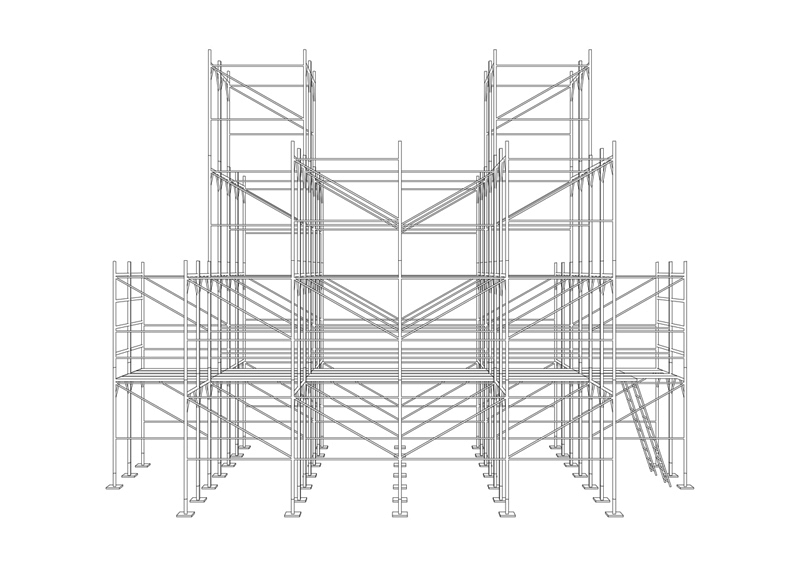 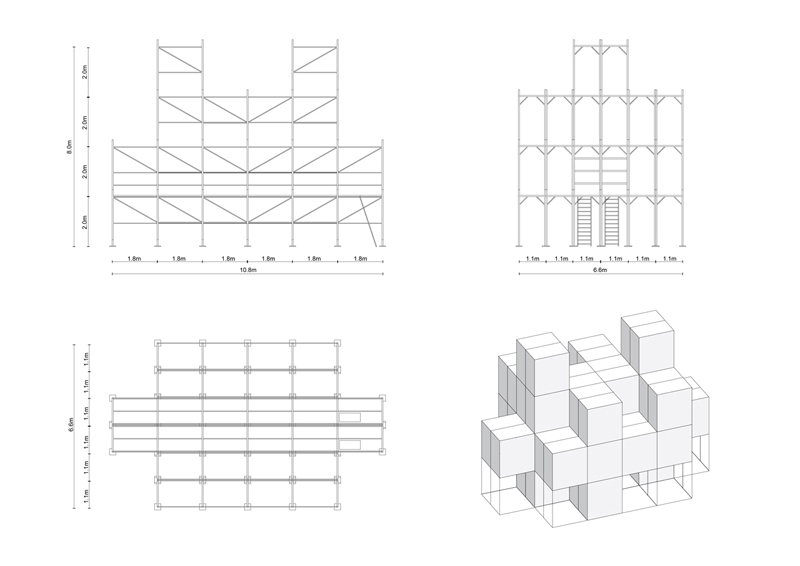 The current financial situation has left a permanent landscape of scaffolding structures scattered across the city; urban scars that remind us of the fragility of our current society. 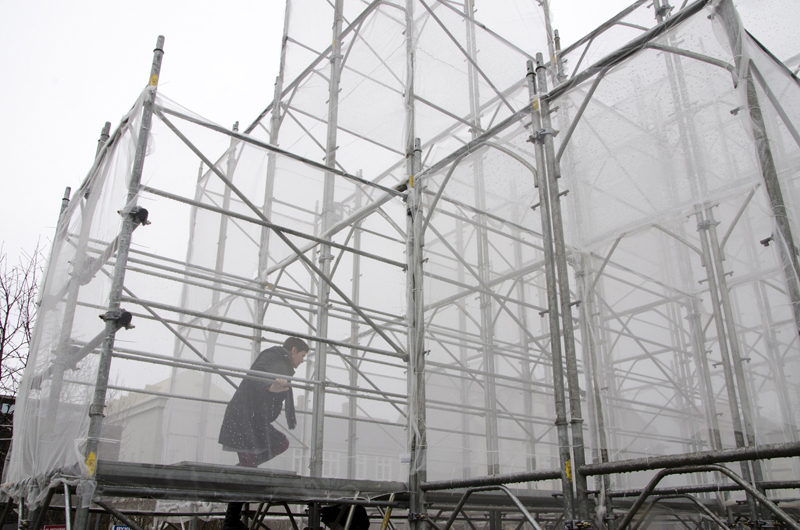 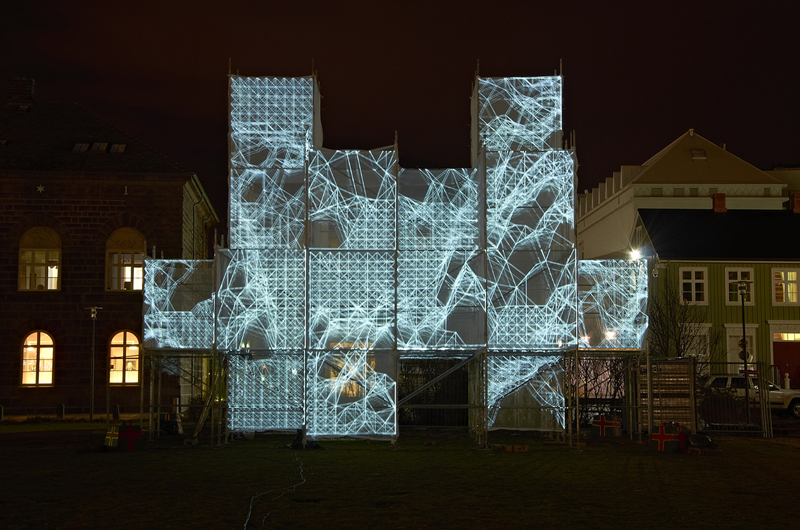 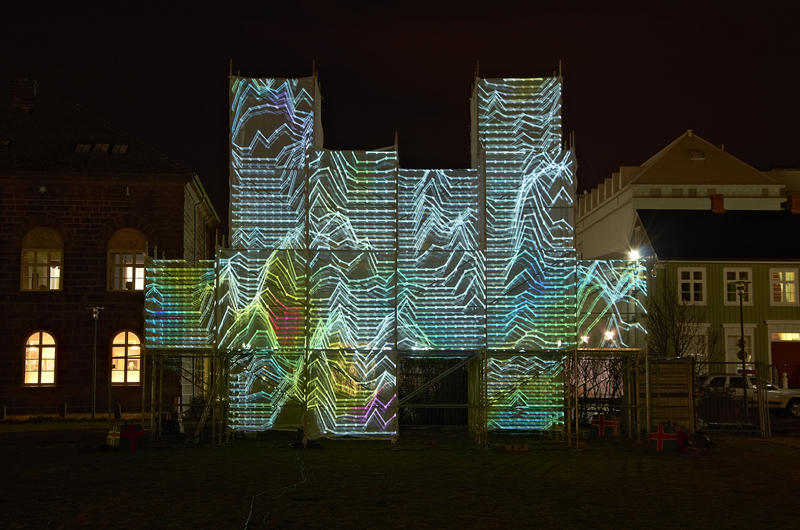 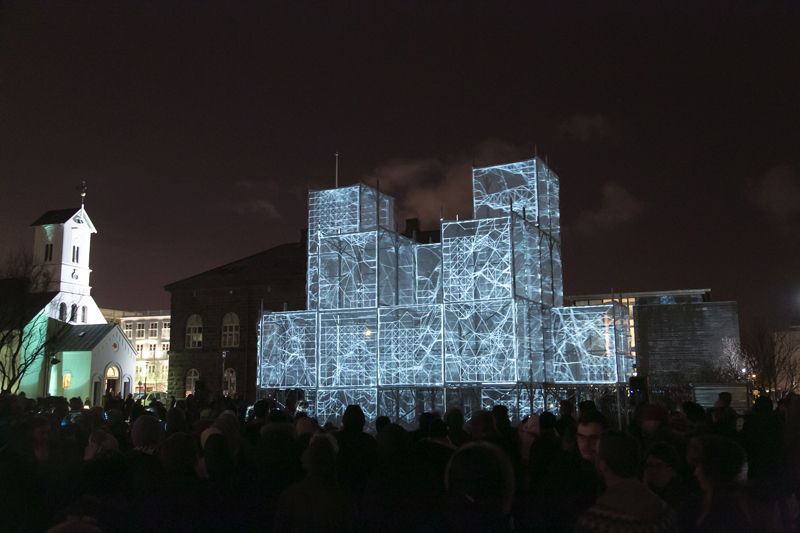 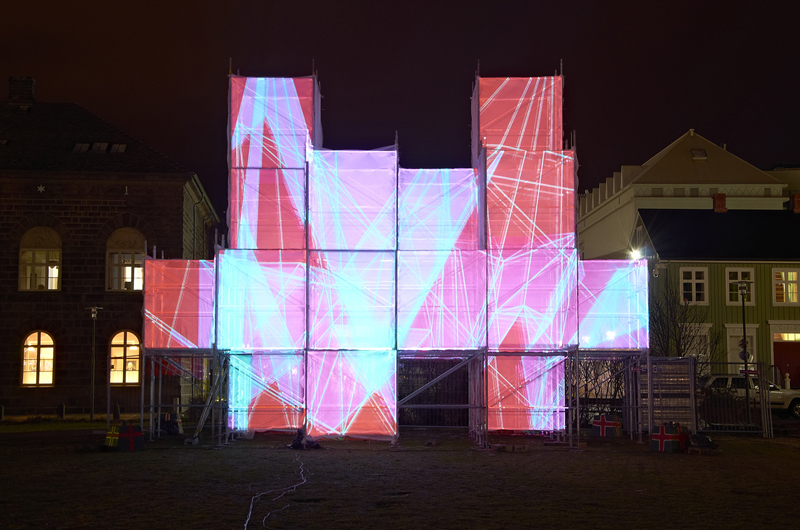 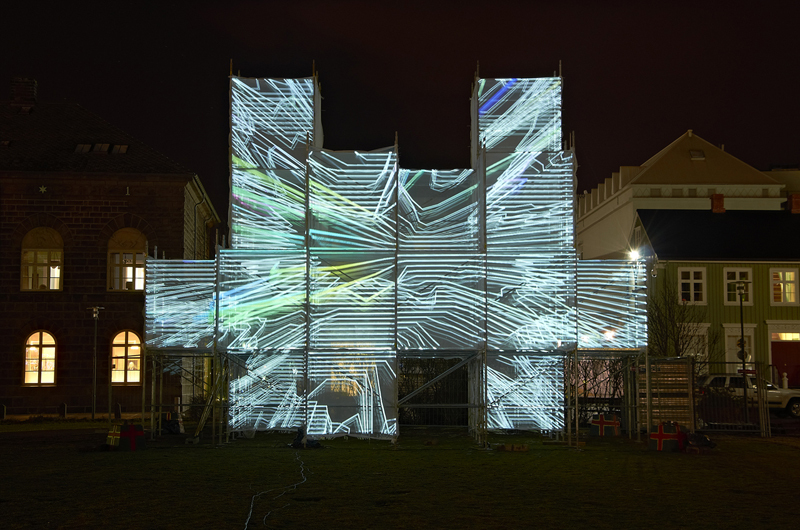 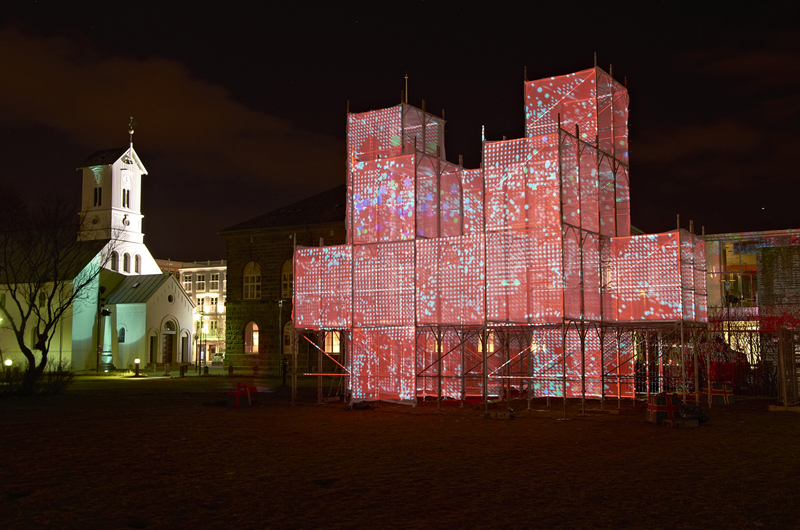 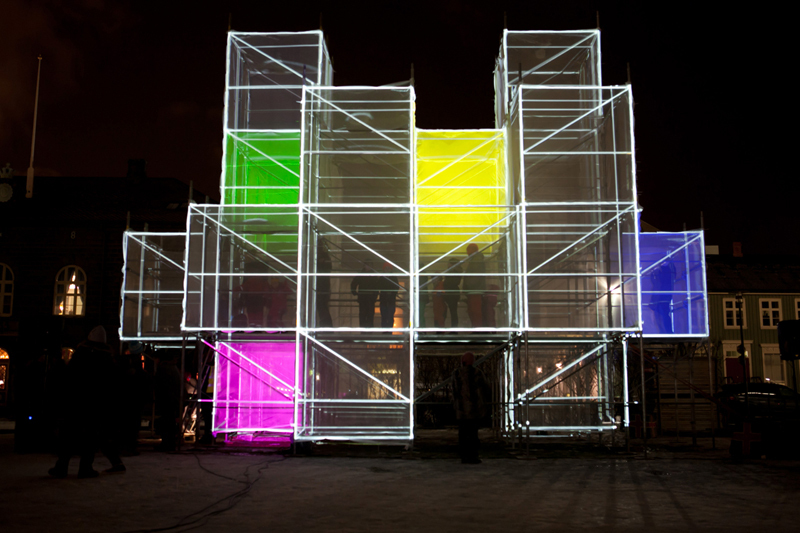 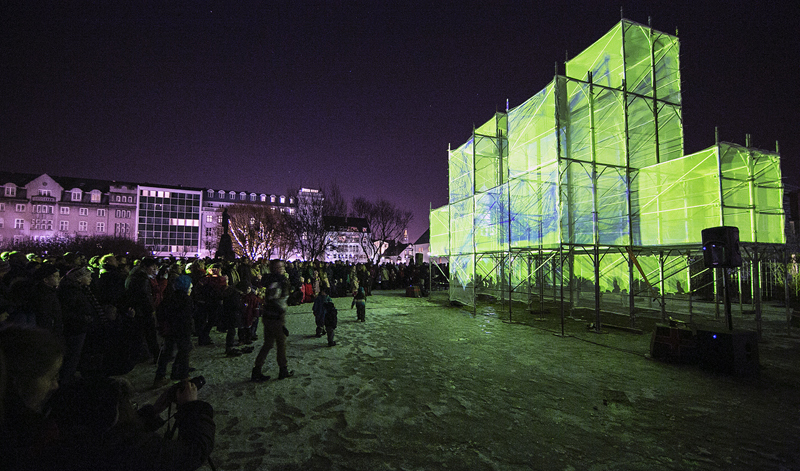 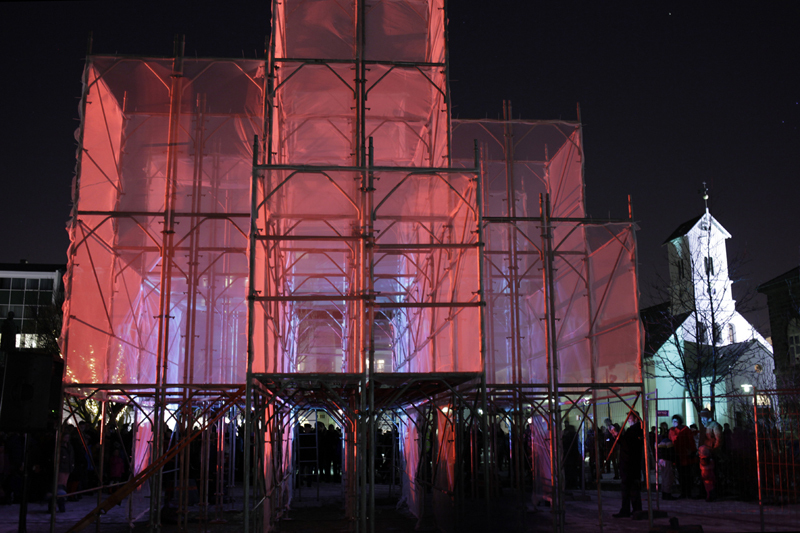 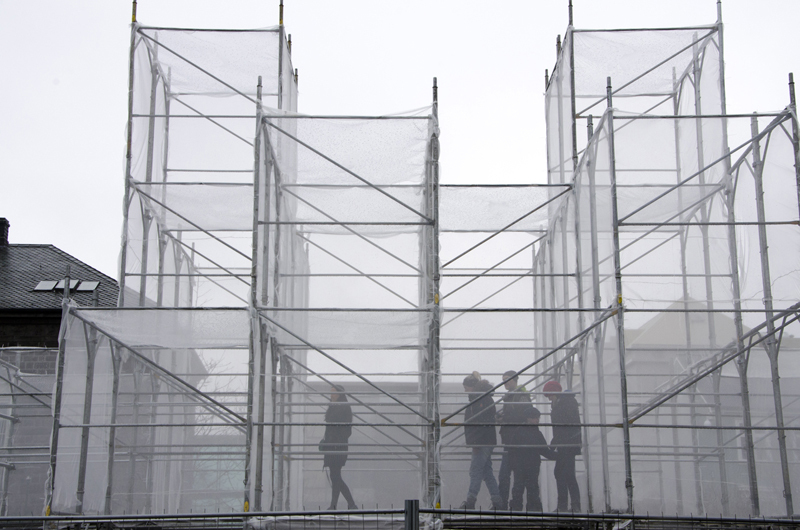 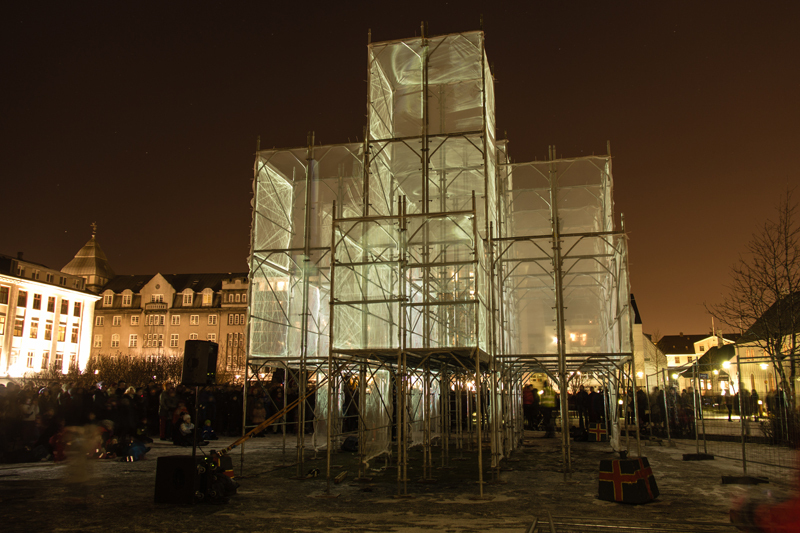 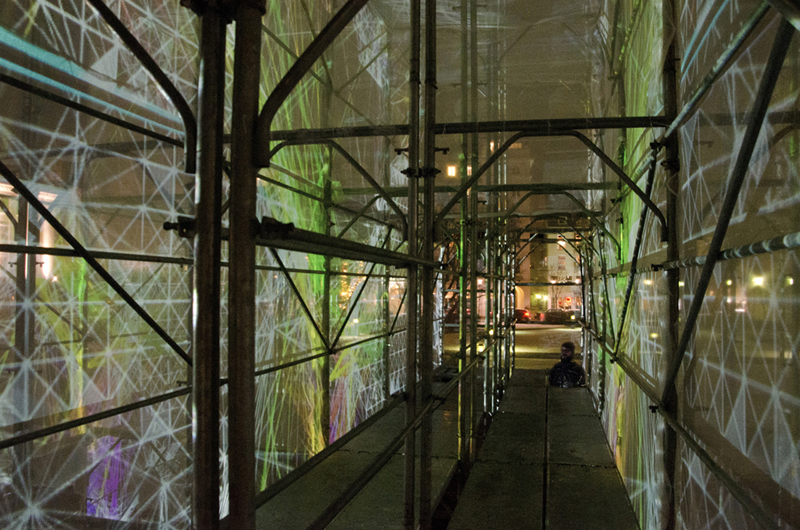 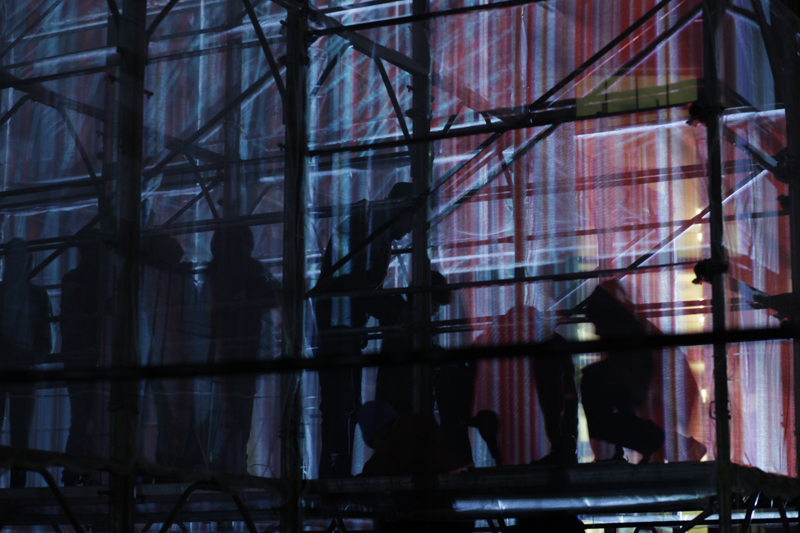 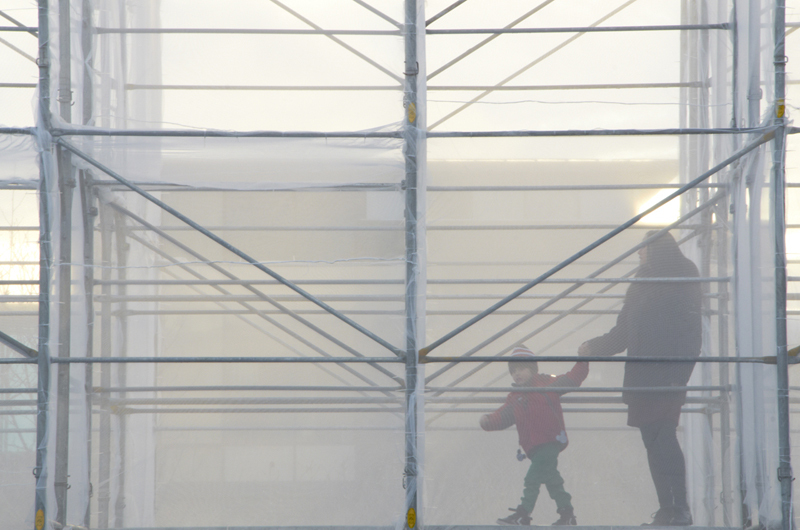 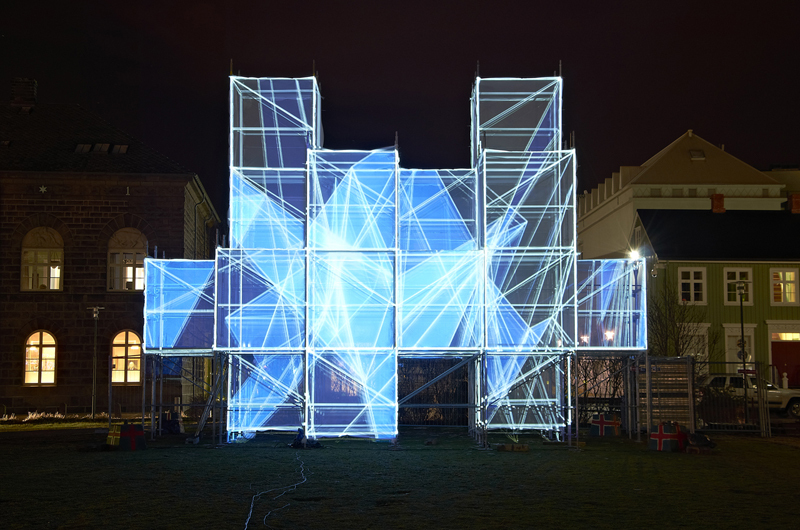 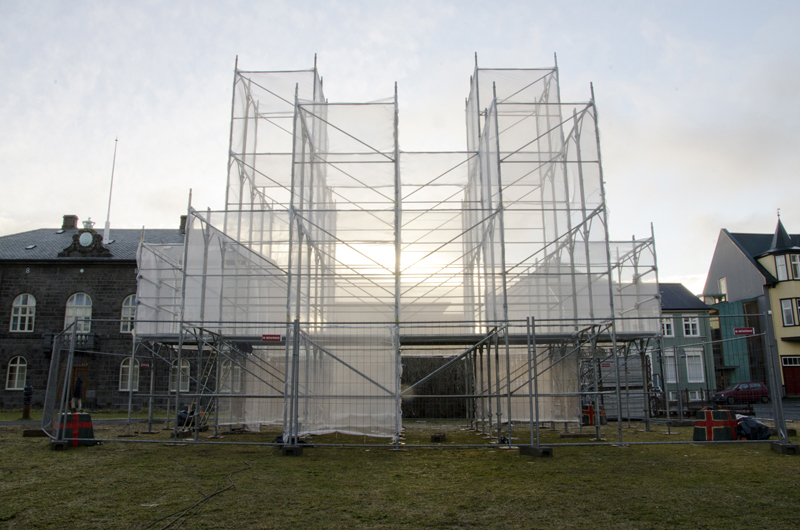 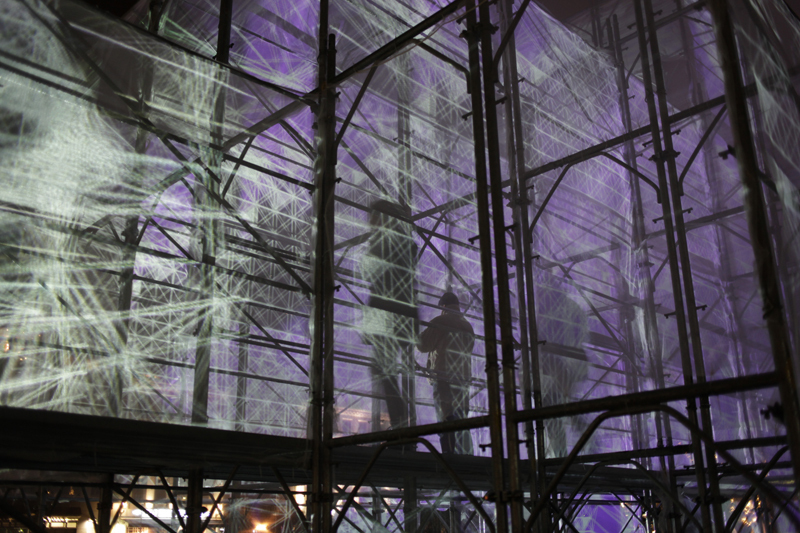 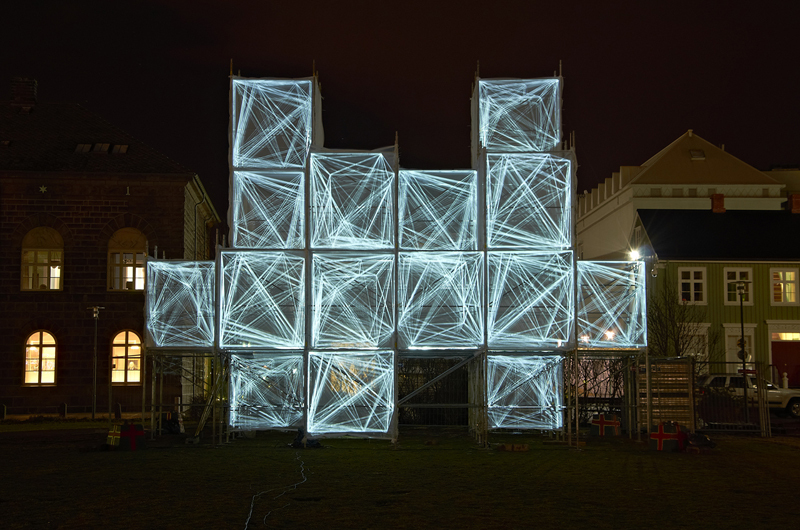 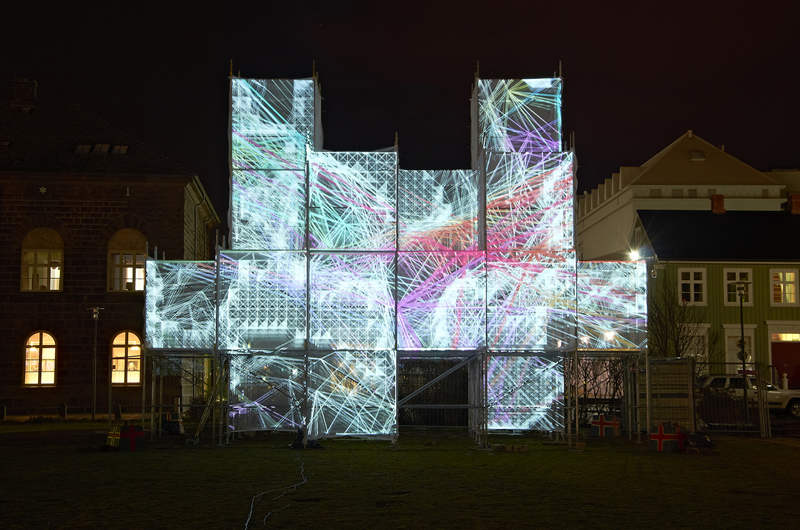 PIXEL CLOUD is an architectural installation that takes advantage of this condition, transforming an ordinary scaffolding structure into a fully immersive environment of light and sound in the heart of Reykjavík. 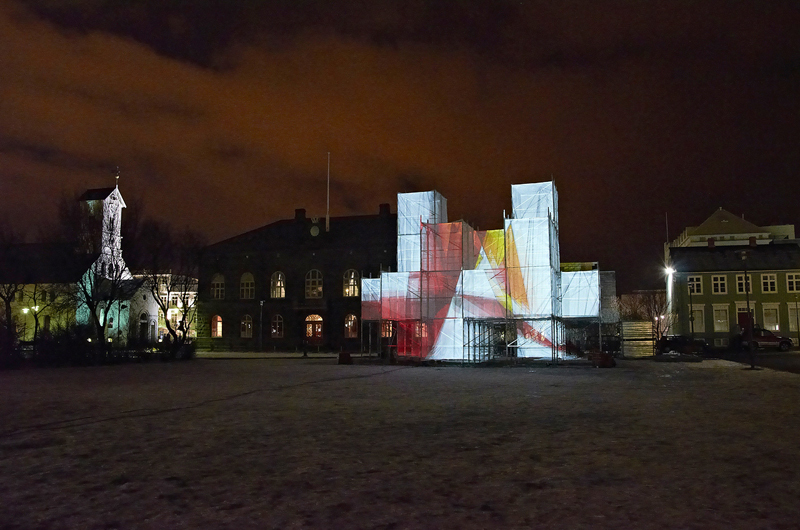 PIXEL CLOUD is the winning competition entry for the Reykjavik Winter Lights Festival 2013, organized by Höfuðborgarstofa, Orkusalan and the Iceland Design Centre.